If you own a Star*DV, BlueDV offers some advanced features, though you won't be able to use the speaker/mike connector. Star*DVs are no longer being manufactured. If you don't already own a Star*DV, we recommend you purchase a ThumbDV from Northwest Digital Radio. David PA7LIM has written an excellent multi-mode program called BlueDV. The original version of this program worked only with DVMega/BlueStack hotspots. David has since upgraded BlueDV to a Beta version that supports AMBE devices. 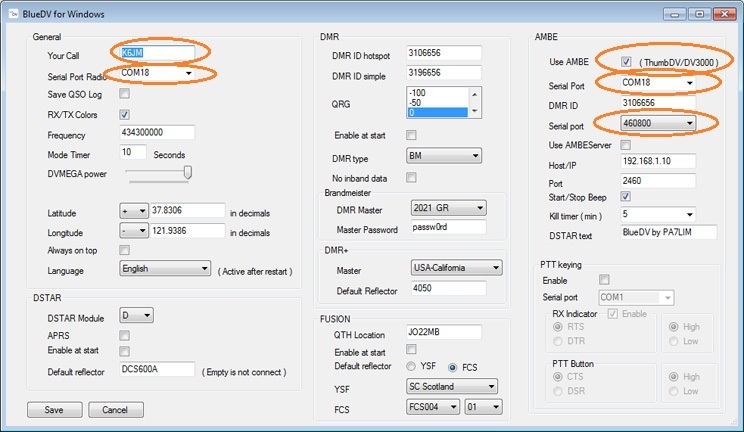 This program allows use of a pc's or Android device's speaker and mike (or headset) to have QSOs without a radio via D-Star (REF, XRF, DCS), DMR (Brandmeister, XLX DMR, DMR+) and C4FM/Fusion (YSF, FCS) protocols. BlueDV Beta works with USB dongles having an AMBE 3000 chip. This includes the Star*DV and the Northwest Digital Radio ThumbDV. You may find that SDV is your ideal software if your main focus is D-Star. BlueDV Bet also allows you to also access DMR and C4FM/Fusion reflectors. Download from http://software.pa7lim.nl/BlueDV/BETA/Windows/ - download the latest version, which as of this writing, is called preBeta. If your pc requires a normal A-type USB connector, then obtain a USB Mini-b male (connects to Star*DV) to USB A-type male cable (connects to pc). You can find examples on Amazon searching for "usb a to mini B cable". For use with an Android device, you will probably need a USB Mini-b male (Star*DV) to Micro-USB A male (Android tablet or phone) cable. The Star*DV 's data rate is 460,800 (early ThumbDVs ran at 230,400, later units at 460,800). So to use a Star*DV, the BlueDV Settings window must have the data rate set to the faster value. 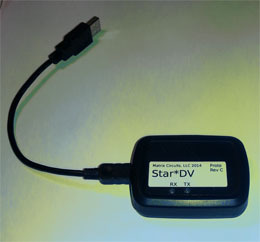 The Star*DV dongle has additional codec and audio amp hardware, not available on the current ThumbDV. If you use the Star*DV device with the SDV software application, you can use a speaker/mike plugged directly into the Star*DV. But when using the Star*DV with BlueDV, the codec and speaker/mike connector are not used. 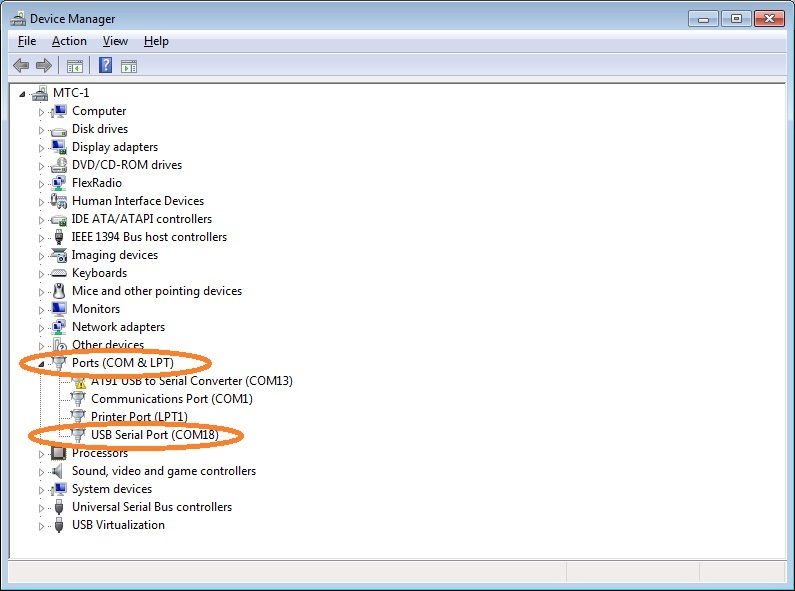 Windows will normally install the appropriate FTDI driver automatically. If this doesn't happen, read this FTDI page. If your Windows pc already has a special FTDI driver installed, you may not see a COM port created when plugging in the Star*DV. The solution is to completely remove the FTDI driver, reboot and reinstall the normal FTDI driver. Click here for more info. You may learn BlueDV information there, but because this list is sponsored by Northwest Digital Radio, please don't post questions about the Star*DV there.